#WATTYS2017 Winner - HIGHEST RANKING # 5 - DOWNTON ABBEY meets Libba Bray's THE DIVINERS in this YA Historical Fantasy set in 1922 England. Unlike all the Debutantes she knows, eighteen-year-old Vita couldn't care less about her coming out ball. Trapped in her gloomy country estate, all she wants is to spend the summer dancing to jazzy numbers in East End clubs with her best friend Izzy. Freshly returned from a year abroad, Izzy is ready for the thrill of the London Season, with its endless whirl of balls, shopping sprees and horse races. Most importantly, she's counting on Vita to help her find the rich and handsome husband every high society girl deserves. But when Vita is kidnapped and found barely alive in an East London alleyway, the carefree summer the girls had planned turns into something much stranger than they could ever have imagined. With flappers turning up dead all over the city, and Vita terrified of hybrid monsters she swears she can see lurking in Mayfair's marbled houses, Izzy can't help noticing that darkness is seeping into their lives. As Vita starts to believe she's turning into a monster herself, Izzy suspects her friend's sanity is slipping away. Both girls have to find out what's happening before they lose their friendship and status, and their crowd of Bright Young Things becomes a thing of the past. 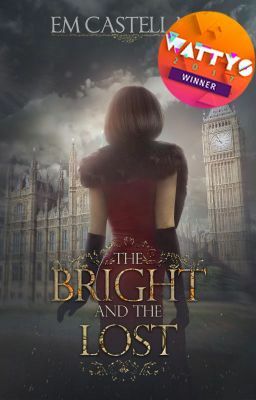 *** A Wattpad Featured Story from 16/02/17 to 25/07/17 HIGHEST RANKING: # 5 on the Wattpad Historical Hot List *** THE BRIGHT AND THE LOST Pinterest Board: http://uk.pinterest.com/emcastellan/the-bright-and-the-lost/ *** Cover designer: Amalia Chitulescu *** Copyright © 2016. All works posted here are the property of EM Castellan. Please do not use without permission. Any duplication or reproduction of all or part of the work without explicit permission by the author is illegal.